""John is sensitive to the importance you place on this major commitment you are about to make. If you are looking for a real estate professional to facilitate negotiation of a win-win agreement that will satisfy both you and the seller, look no further."" 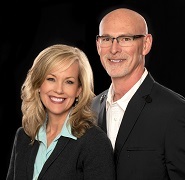 ""Using John and Gayla Duerr to sell our home was the best decision we made. They helped guide us through every step. Offered great advice on staging to make our home look its best. Even suggested trimming and adding color to our landscape. The pictures of the inside and outside they took were great and showed our home at its best. They held two open houses and sold our house within two weeks. They did a wonderful job of marketing our home and I would recommend them with no reservations. They are honest, hard-working and reliable. They come with a plan and get results."" ""John, I sincerely want you to know how much I appreciated the way you handled my home sale and purchase. I have dealt with many realtors and you were by far the best. I will refer you any chance I can and if I ever buy or sell again, you are the guy!"" ""We were (and are) so grateful to have been connected with The Duerr Team. They were an answer to our prayers. My husband is in the military and we were looking to purchase a home out of state. John has a lot of experience working with military families. ""Thank you guys for really going above and beyond to help us get our dream home! I swear, if there was a road block, it presented itself. But you guys fought hard for us and we thank you very much! And thank you for the tasty pumpkin bread! You are a wonderful team!"" ""I have bought and sold homes before and have never had transactions go as smoothly. Gayla made the home buying process simple. I never felt pressured to hurry the process along or to settle for something I wasn’t really interested in. She obviously had my best interests in mind at all times. She helped me to find the perfect, quiet lake property. I wake up every day grateful to be able to look out my window and appreciate the beauty of nature."" ""I had the privilege of working with John Duerr to purchase my first home. He was phenomenal! I’m so glad my wife and I had the experience of working with him. He was incredibly responsive (via text and email) to all of my first-time home buyer questions and was patient with me through the entire process."" ""John guided us through the process of preparing our home for sale. Then he worked hard to sell it in a difficult timing market. He was a great help and very pleasant to work with."" ""John and Gayla Duerr were phenomenal throughout my first home buying experience. They made it way too easy! Both are incredibly knowledgeable, honest and helpful. No complaints whatsoever! Thank you!"" ""My wife and I needed to find a house in Olympia to be near our daughter and her family. We had been caring for our grandsons 3 days per week at our daughter’s old house in Seattle. When they moved to Olympia due to a new job, we needed to follow them to continue caring for our grandsons. At this point Gayla became a miracle worker, even searching for expired listings within the specific travel route. She finally found the perfect home for us, negotiated a win/win with the sellers and we now have the home of our dreams. My wife and I are close to our daughter and her family in a house we love. Thank you very much Gayla and also a thank you to the other half of The Duerr Team – her husband John Duerr. " ""John and Gayla Duerr came quickly to our aid when we needed to sell our townhouse in a short window of time for a move overseas. They immediately gave us a helpful list of steps to take to get our home ready for sale- things that definitely made an impact. They also worked hard to ensure that our house was seen by other realtors and tapped into other local buyer networks. As a result of their efforts, we had offers on our home within a week. I would recommend them to anyone. They are phenomenal realtors."" ""John Duerr helped us through several transactions. We sold a home and listed it with John. He provided relevant information regarding the market, and even walked through our home and gave us tips and pointers on things to do to make our home more presentable and marketable. With John’s assistance, we sold our home for a good price, despite a declining market and lowering values (2012). We had planned to build a new home but due to the market conditions, we decided to buy one instead. Once again, we asked John to help us find a new home, and after two long days and looking at almost 20 homes, we found the one perfect for us. He pays great attention to detail, and only brought us to homes that fit almost every criteria we had set. Once that transaction was complete, we then sold the land we had planned to build on. Once again, John helped us through the process and got us great value for the land we sold. He’s rock solid and is clearly one of the best around. I’d highly recommend him for his willingness to go the extra mile to make sure your selling/buying process is smooth, uneventful and gets you the results you’re looking for."" "It was a pleasure working with Gayla to purchase our first family home. She walked us through every step and was responsive to our questions/concerns which made the home buying process go quickly and smoothly. I would definitely recommend Gayla for 1st time homebuyers. She truly loves what she does and was sincere in her kindness and joy she brought to the home buying process." "We bought our house in Washington while we were still living in Texas and never had a worry, due to Gayla’s high level of care. She is so detail oriented and helpful. She even came out to our house and ran the hose to clear our well water and I know her husband, John was working with her also, but our main contact was with Gayla. We could not have asked for a better real estate team!" "Gayla and John were great to work with on my home purchase. They would both work with me to ensure my needs were met on my schedule. Gayla was especially attentive during the purchase process, finding water damage after inspection and getting the contract written to include a fix by the seller, saving me a good bit of cash and a headache. Gayla was always responsive and quick to find answers to questions. I am completely confident they can help you find the home you’re looking for. Thank you both John and Gayla for providing such an excellent and smooth real estate transaction!" "Gayla has been a friend since grade school. When I moved back to Washington after 30 years away, and found out she had gone into the real estate business with her husband, I knew that I wanted to work with her. Gayla is one of the most kind, caring, honest, “genuinely people focused” persons I know and I knew those characteristics would enable her to be a great agent. And I was not disappointed! Despite my taking months to decide what I really wanted in a house, she remained patient and positive. She went beyond my expectations! Through the home buying process, I met her husband John. They are a great team!" "It’s official. We signed papers today. Selling our Maringo house to a nice couple with two young kids. I hope they enjoy the place as much as we did all those years. Thank you to Gayla & John Duerr- best realtors in all Olympia- incredible job on our behalf, making the process so smooth. We are grateful. On to the next adventure." "Our experience with Gayla and John Duerr was wonderful! Since we weren’t based in the Olympia area, the amount of time we had to find the ideal home was limited. Gayla made sure that our search was properly targeted so that we could make the best use of our limited time and was able to promptly arrange tours of prospective homes. When we found “the one”, she and John developed a strong offer that encouraged the seller to promptly accept. We feel that the Duerr Team made the whole process seamless and we would recommend their services without reservation." "We had a great experience with both John and Gayla! They are really solid professionals individually, and work even better as a team. My fiance’ and I first met with them on a last minute basis, but they went out of their way to accommodate us, and even had us in touch with a lender the next morning. On our first “house shopping” outing, we found the perfect place, but it meant my condo needed to get on the market immediately. That same day, Gayla came back with me to help me with staging and cleaning out the condo so it could be market ready by the end of the week! She really went above and beyond! Gayla also seemed to have a keen sense of what we were looking for and didn’t waste my time by taking me to places I wouldn’t like. John had my condo sold in days! He really knows what he’s doing when it comes to analyzing the market and pricing to sell. He took care of everything like a professional and he never left us wondering what was going on or happening next. Same with Gayla. We bought in a new development and she was with us every step of the way, ensuring all was going according to plan. Gayla kept communication going between us and the builders and we never had to wonder about the status of our home. At closing there was a small snag with escrow and funding and it looked like our closing would be delayed, but Gayla made some phone calls and soon had us occupying the home on our original closed date! She knew how much it meant to us to be in the home on the day we had planned. Gayla and John are fantastic realtors, professional and genuinely care about their clients. They both go above and beyond! "Gayla is a combination of Wonder Woman and Super Girl. She is petite and welcoming with a smile that instantly puts a person at ease. She is the most focused and driven woman, with the goal of obtaining the perfect home for each of her clients. From our first meeting, and throughout the home purchasing process Gayla made us feel more like longtime friends than mere clients. She went the extra mile on several occasions during this adventure with us and made the hurdles we encountered along the way less stressful. Living 2 hours from Olympia makes viewing properties complicated, but with Gayla the process was seamless. She truly understands your vision of home and then relentlessly pursues that dream for you. She comes HIGHLY recommended. Five stars doesn’t seem to do her justice. Thank you for everything you gave to make our dream a reality. You are one in a billion and an OUTSTANDING realtor. "Wonderful, supportive professionals. Did a superb job in representing us in sale of our home. Highly recommend them to sell your home or find the home of your dreams!" "Gayla Duerr has been wonderful to us. She helped us retirees from Maryland find our forever house in Lacey. She not only took us looking for homes, she also stood by us throughout the buying process helping us every step of the way. After the sale, she continued to give us guidance on where to find furniture, a hairdresser, restaurants and all kinds of other helpful things. I can't say enough about her positive, no-pressure attitude. She's the best." "John and Gayla Duerr are an amazing team! They did such a great job in helping us find our new home this year and we are so grateful!! They took the time and attention to really listen to what we wanted and were on the ball to help us find the perfect home for our family. They are always easy to get ahold of and would get back to us promptly if we needed to know something. They are very knowledgeable which also helped to alleviate any questions or concerns we had. We highly recommend Gayla and John!!!" "Gayla did an amazing job of helping me find my dream home! Being a first time home buyer, Gayla was great walking me through the process. Gayla was organized, diligent and very responsive. She went above and beyond what I could have imagined. I am so grateful for all the help that she put into making my house hunting experience run smoothly. I strongly recommend the Duerr Team!" "Professional, timely, connected, and friendly - these are just a few of the characteristics I could use to describe the Duerrs. My wife and I are both active duty military and we did not move at the same time this past summer, so the task of finding a new home quickly for our family rested solely on my shoulders - an extraordinarily daunting endeavor! However, John’s expertise turned this daunting task into a highly manageable and frankly, smooth process. Leveraging his local contacts, he even recommended a local lender who proved to be equally as adroit and professional. We simply could not have asked for a better experience - We give the Duerr Team our highest recommendation!" "My husband and I purchased our first home with the help of Gayla Duerr and we could not have asked for better support from a realtor! She was always on top of the game and available for all of our questions and needs! She worked early and late to compensate for our busy schedules. Though we didn't get a chance to meet John Duerr, his experience and knowledge came in hand multiple times; their teamwork was commendable! We would recommend Gayla and John for any of your real estate needs; especially those first timers finding their way as we were! Thank you again Gayla!" "John Duerr and his wife Gayla Duerr are so great at what they do. Our house wasn't on the market long before it sold. They helped us every step of the way and even went above and beyond when we were in the hospital with our daughter to get documents signed in a timely manner. We can't thank them enough for being great real estate agents, but even more so family friends. So, if you're looking to buy, or sell a home get in touch with one of them! I promise you won't be disappointed!" "Gayla is truly a joy to work with. From start to finish we always felt that we were Gayla's number one priority. She is extremely knowledgeable and savvy and always kind and easy to talk to. She maintains excellent relationships with everyone in the business, which is a huge asset in terms of jumping through the hoops of inspections and mortgages. We could not have chosen a better realtor and recommend her without reservation."